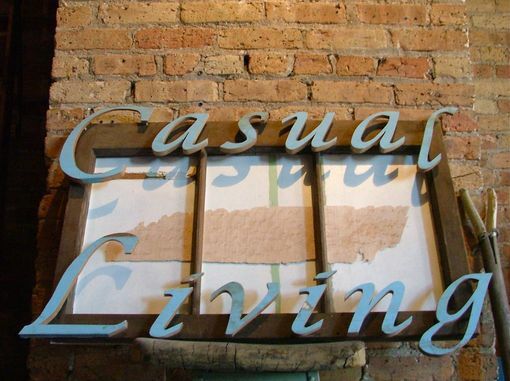 This sign was designed for an artist's studio in Chicago Il.. 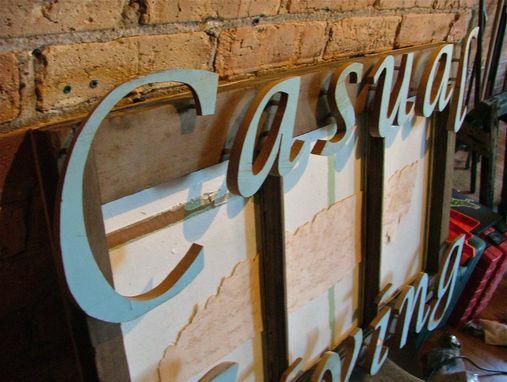 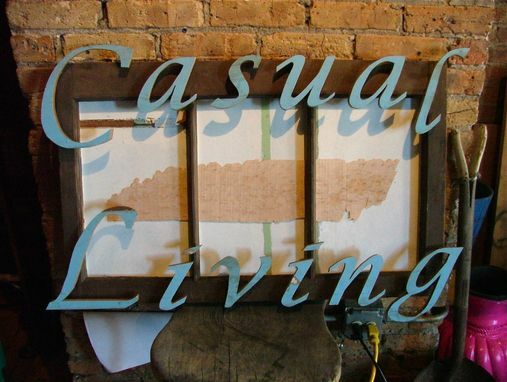 The letters were hand sawn from painted cedar siding and mounted to a reclaimed wooden window frame. This aesthetic works well in both residential and commercial settings.